Bay State boxers Edwin “La Bomba” Rodriguez and Danny O’Connor have come almost full circle since their amateur days, training together in Houston and now fighting on DiBella Entertainment’s “Road To Glory” card, September 29 on a special HBO Boxing After Darktripleheader, live from the MGM Grand Theater at Foxwoods Resort Casino in Mashantucket, Connecticut. Rodriguez (21-0, 14 KOs) defends his United States Boxing Association (USBA) title against unbeaten power-puncher Jason “Monstruo” Escalera (13-0-1, 12 KOs) in the 10-round main event, while super lightweight prospect Danny O’Connor (18-1, 6 KOs) faces Josh “Nino Assasino” Sosa (10-3, 5 KOs), providing chief support for the three HBO-televised fights, in an eight-round bout. Unbeaten Luis Orlando “Orlandito” Del Valle (16-0, 11 KOs) takes on former three-time, two-division world champion Vic “Raging Bull” Darchinyan (37-5-1, 27 KOs) in the 10-round co-feature on HBO for the vacant North American Boxing Federation (NABF) super bantamweight title. Completing the HBO tripleheader is a World Boxing Council (WBC) International welterweight title fight between champion Antonin Decarie and the undefeated Alex Perez (16-0, 9 KOs). Decarie-Perez replaced a Special Light Heavyweight Attraction bout between world-rated Isaac “Golden Boy” Chilemba (19-1-1, 9 KOs) and former two-time, two-division world champion Zsolt Erdei, who was forced to withdraw due to suffering two broken ribs during training camp. Chilemba will still be fighting on the card. The “Road To Glory” event is promoted by DiBella Entertainment, in association with Joe DeGuardia’s Star Boxing and Gary Shaw Productions. 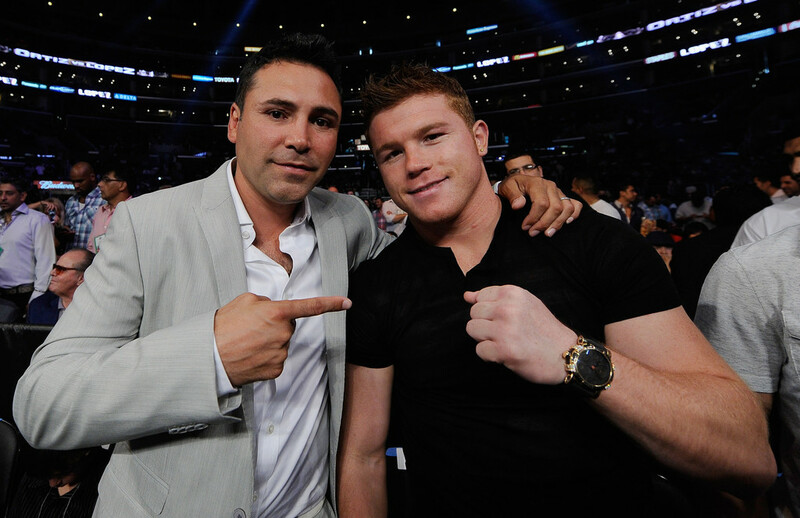 All three bouts will be aired on HBO’s Boxing After Dark, beginning at 9:30 p.m. ET/PT. Dominican Republic-born Rodriguez moved to Worcester (MA) with his family 14 years ago when he was 13. O’Connor was born and raised in Framingham (MA), which is less than 30 miles from Worcester. O’Connor’s third amateur bout was at the old Boys & Girls Club in Worcester on a show in which hometown hero Rodriguez was in the main event. The now 27-year-olds first met then, both developed into national amateur champions, and turned pro in 2008. Rodriguez is the closest of that trio to fighting for a world championship. He is rated No. 4 by the International Boxing Federation (IBF) and World Boxing Council (WBC), as well as No. 8 by the World Boxing Association (WBA) and No. 9 by The Ring Magazine. The two took a circuitous route to Houston, joining trainer Ronnie Shields, in his new state-of-the-art boxing facility at Plex in Stafford, Texas. O’Connor quickly outgrew the Framingham PAL and started training at the Worcester Boys & Girls, rejoining Rodriguez there as young prizefighters. They traveled throughout New England, searching for sparring partners and a base, until they both landed at Manfredo’s Gym in Pawtucket (RI) but with different trainers. Rodriguez originally was supposed to fight this summer and he will be in training camp for 14 weeks by September 29, missing his wedding anniversary with his wife, Stephanie, and being away from his twins of special needs who will turn six on the night of his fight against Escalera. The only time he was away from Shields was for a week on vacation back home, but Edwin pointed out that he trained daily and wasn’t really on a vacation. 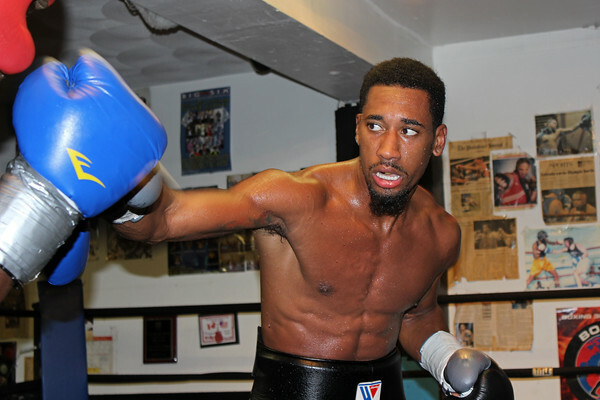 Shields has been nothing short of a boxing professor for his two protégés from Massachusetts. They love working with the former “Trainer of the Year” and two-time world title challenger, who has been where the duo wants to get. Many may feel that Shields has changed Rodriguez from a brawler to boxer, O’Connor from boxer to puncher, but Coach Ronnie is turning both into complete fighters. “Edwin always came forward, throwing punches, and when you hit him, he hit you back,” Ronnie explained. “There’s nothing wrong with that attitude, but you don’t want to trade shots with an opponent who hits harder. You don’t go head-to-head with an opponent like Donovan George who was stronger. Edwin boxed in the middle of the ring and won rounds, catching everything George threw on his gloves instead of his chin. Edwin agrees that he doesn’t have to punch it out. 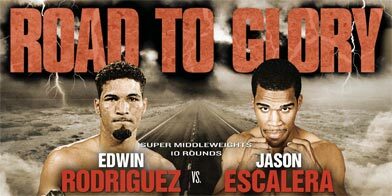 I’m not taking the fight out of a fighter like Edwin. I’m making him more of a complete fighter like I’m doing with Danny, too. Complete fighters are smart fighters. If Edwin is losing late in a fight and needs a round or two, he can still do that if he needs to, but he has perfected his defense.